2612 Sat 5 May LESSON http://thehoot.org/research/special-reports/journalists-remain-in-the-cross-hairs-10616 Napolean had said ” I can face two battalions but not two scribes” The Brashtachar Jiyadha Psychopaths (BJP) called the scribes as PRESSTITUTES, The Murderer of democratic institutions after gobbling the Master Key by tampering the fraud EVMs the Parliament, Executive, Judiciary and the Media have become chamchas, stooges, chelas, bootlickers and own mother’s flesh eaters. Now at least the media must and should wake up to expose the fraud EVMs which has negated the Universal Adult Franchise and bring back Ballot Papers and see that the Central and state governments are dissolved and go for fresh polls with Ballot Papers to save democracy, Equality, Fraternity and Liberty as enshrined in our Marvellous Modern Constitution against manusmirti. bootlickers and own mother’s flesh eaters. enshrined in our Marvellous Modern Constitution against manusmirti. Free Speech in 2018: Murder, violence, threats, gags, and policy clampdowns – that’s how the year started. Media freedom continued to deteriorate in the first quarter of 2018 in India. Internet services, as well as the take down of online content. 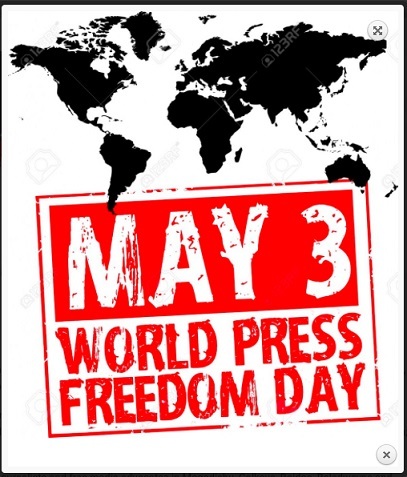 Journalists continued to be vulnerable. judging by what initial investigations show. across the country, three of them in West Bengal. vehicle was driven by a villager leader Mohammad Harsu. He was arrested. mukhia, and the reporters over a news report had preceded the accident. However, the investigation is not complete. threats to his life. The driver, Ranvir Singh, was arrested. rampant and illegal mining in Meghalaya. the Delhi police molested a woman journalist covering a student protest. They later apologized, stating that they mistook her for a student!. Jan 7, 2018, Ahmedabad, Gujarat: A Facebook post by Damayantee Dhar who reports for The Wire records an attack on herself and another reporter from the Ahmedabad Mirror on January 7 by a “mob of 15-20 dalit men” headed by Keval Rathod. mercilessly beaten up by the police though she showed her identity card to them. workers from TMC and the Bharatiya Janata Party (BJP). tribal journalist in Dantewada, Chhattisgarh. social media. A woman journalist found that her Twitter account was compromised by fake messages and morphed pictures were circulated. Journalists filed police complaints but no arrests have been made. leaders. In Chennai the Central Crime Branch (CCB) on April 27 arrested a person who allegedly posted derogatory statement on Facebook against Electricity Minister P. Thangamani. messages attributed to them went viral. and Kashmir, allegedly lampooning the country’s judiciary and government on Facebook. filed by a Rajasthan resident. Amit Shah against The Wire and that of Arindam Chaudhari against Caravan magazine. In the case of Rising Kashmir editor Shujaat Bukhari against Manushi editor and commentator Madhu Kishwar, the case went to trial. stating that he has registered a police complaint. channels and Community Radio Stations (CRS) in addition to TV channels. Standards Authority to regulate online content. website which reported this stood by its report. on the duties of a journalist! Certification Appellate Tribunal (FCAT) and the courts. when his film was denied a certificate by the CBFC. Mukesh Ambani from online news sites, the takedown of videos of Congress-I President Rahul Gandhi and the termination of the services of a journalist for tweeting about fake news spread by the media house. 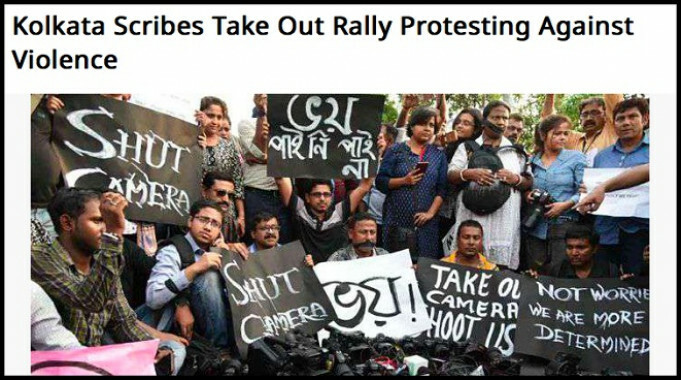 Raza anti-national has not been complied with, marking yet another setback to media freedom. violence in 25 instances, seven of which were in Jammu and Kashmir. Shahid Afridi would address a gathering at the Jama Masjid. these services were withdrawn a day earlier. Violence and death of one person in firing in Rajasthan’s Alwar city due to the ongoing Bharat Bandh. violent protests against Supreme Court’s ruling on SC/ST Act. been blocked with Netsweeper software. 1,158 out of 2,464 - in India,’ the report said. time till May 10 to furnish a reply. coverage of the bribery case of former district judge I. M. Quddussi. allegedly critical of its judgements. was lifted by a district court in Delhi. journalists and the Brihanmumbai Union of Journalists. After diluting the PoA now the Presidents office is diluted. That is the fate of SC/STs under Murderer of democratic institutions (Modi). bring back manusmriti as our constitution for their hindutva cult. the top terrorists of the world. robust and adaptive strategies for the future. 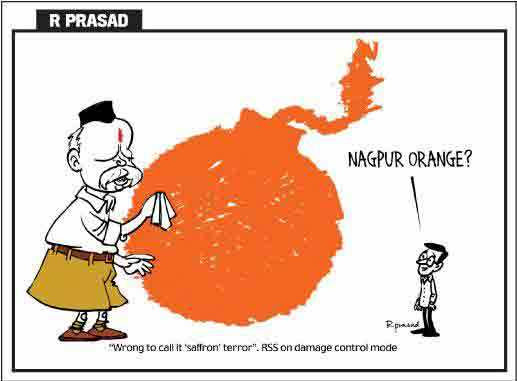 chitpawan brahmin as the owners of RSS member, Nathuram Godse. cases goes up to 17,” Mushrif said at an event in Kolkata. Samjhauta Express bombings among others. win majority seats in UP Panchayat elections. And to initiate legal action on BJP and RSS for their terrorist activities.And also ban these outfits. country and the rest of the world including the USA , UK and Canada. Savarkar, Gopal Ganesh Agarkar, Vinoba Bhave, and Gopal Krishna Gokhale. after hearing for five minutes. previously by a three-judge bench. Ashok Pande, quite interestingly, would reappear to intervene in Bhushan’s case in order to oppose it! the Prez hand out only 11 awards. 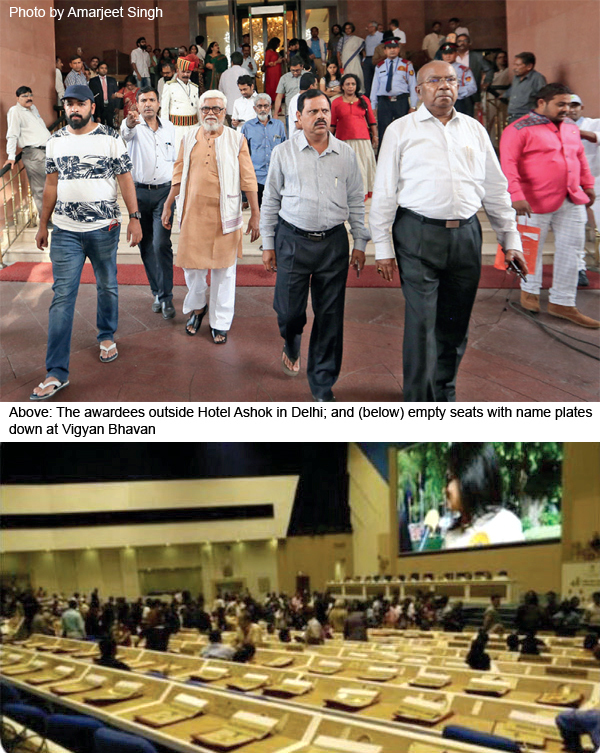 who boycotted the event were kept face down. 65-year-old tradition of the awards being handed over by the President. her minister of state Rajyavardhan Rathore gave away the rest. discrimination that was without any basis”. award for Best Film (Ladakhi), Best Sound Design and Best Re-recording. 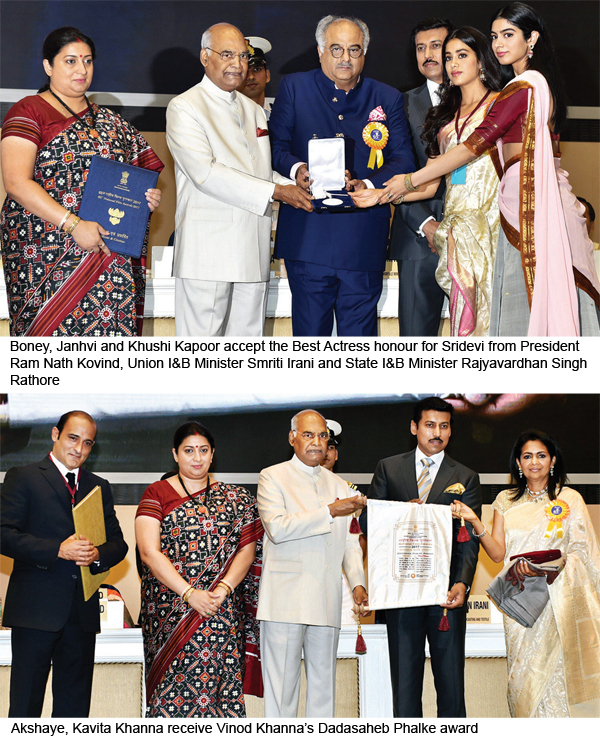 Vinod Khanna, received the awards. marked to both the President and the I & B Ministry. awaiting a more just solution”. official word from the I & B minister. What should have been one of the happiest days of our lives is a sad one for many of us. group, that wasn’t present at the lecture — took offence at Prof.
foreigners and Paradesis from Bene Israeli. sentiments by calling Ram a “loafer”. Prof. Guru’s bail plea was rejected the first time and he was released only after he spent over a week in prison. time when arresting people on frivolous grounds is commonplace. and their fear mongering activities. Prof. Guru’s opposition is symptomatic of the limits of the BJP’s slick campaign to tap SC/ST communities for their votes. ‘explain’ why he was canvassing for the Congress. support the accusations against him. “It cannot be coincidence that the complainant and the VC live in the same neighbourhood,” he said. Ambedkar had said ‘Congress is a party of manuvadis’. At this time, that rings true for the BJP. they have videos of the event. response to media reports of the event. Bhagavadgita. which was again created by Vyasa a Scheduled Caste. the minorities and backward castes is just lip service to bag votes. “In the 1930s, Ambedkar had said ‘Congress is a party of manuvadis’. At this time, that rings true for the BJP,” Guru said. The party, Guru said, was torn between discrediting Ambedkar’s legacy and appropriating it. that they don’t want to anything substantial for the backward castes. was only painted blue after protests from local BSP leader. Kovind as the President of India and diluting his office like PoA. statues were being vandalised?” Guru asked. which is negating the Universal Adult Franchise. defilement of the mind in mental asylums.